As a therapist, you need to record financial information about your private practice that will help determine your tax obligations each year. Aside from calculating these obligations, financial information also provides you with an insight into the profitability of your practice. This information allows you to analyze income and expenses and make decisions that will help improve your financial position. The information that you are required to record may vary based on your location. Below are some of the advantages and disadvantages of using excel to record your financial information. Below are some of the advantages and disadvantages of using accounting software. This refers to either installed or cloud based accounting software. One additional factor to consider when deciding whether to use Excel of an accounting software package is whether you prefer to use a service and store your data in the cloud. The benefit of using cloud based software is that you can access the program from anywhere you have an internet connection. This means your data is always accessible wherever you go as well as across multiple devices including desktop and mobile. Because of the portability of your data, you can provide access to your cloud based data to a 3rd party such as a bookkeeper or accountant. Most cloud based vendors offer multiple user accounts for an additional fee if you wish to provide access to the program to someone else on an ongoing basis. Cloud based software requires less maintenance with regard to updates as the software you are logging into is always the most updated version. This means your software is regularly updated for potential virus issues. It also means your data is regularly backed up. This benefit means you usually have to pay an ongoing monthly or annual fee to access the data. Cloud based systems are also vulnerable to hacking and the possibility of your password and account details being stolen. The downside of using cloud based software and data storage is that you do need an internet connection. This is not a significant concern given our ability to be connected at all times, however, you will be impacted if the cloud based software provider goes offline or has outages that will cause business disruption at any time. This is important if you are generating invoices for payment from cloud based software. Using cloud based software is a long term commitment to that company. If you decide you don’t like their service or pricing increases, you will need to find a way to export your data to another provider or installed software program. Using installed software is not as portable unless you have the software installed on all your devices, which may not be possible for some mobile devices. Additionally, you also have to hope that any 3rd party you engage with such as your accountant will have the same software installed on their device. Installed software is updated on a less regular basis compared to cloud based software, however, your vulnerability to hacking is reduced as you are working offline. Most updates are based on security issues so this may not be as big an issue if you are working offline. Overall using installed software gives you more control over the cost and ongoing access to your data, however, cloud based software provides multiple access points to your data with regular backups. You will need to ensure you are backing your data up regularly yourself if you are using installed software. The program you use depends on what stage you are in your therapy business. At the start when you are trying to control costs, you most likely already have access to excel and can easily keep a list of income and expenses in a spreadsheet. As your practice grows and becomes more complex with additional services, products, and possibly other staff, you may want to transition to an accounting software package that incorporates invoicing, payroll and comprehensive reporting. Your choice of what software to use and when will be based on your budget, your technology skill level, and the complexity of your financial requirements. 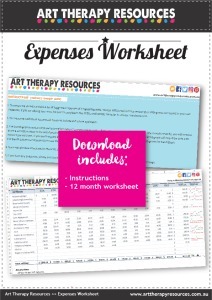 SIGN UP below to download the FREE Excel Expenses Spreadsheet. The spreadsheet includes an instruction guide and is prefilled with sample data to help guide you through recording your own expenses. 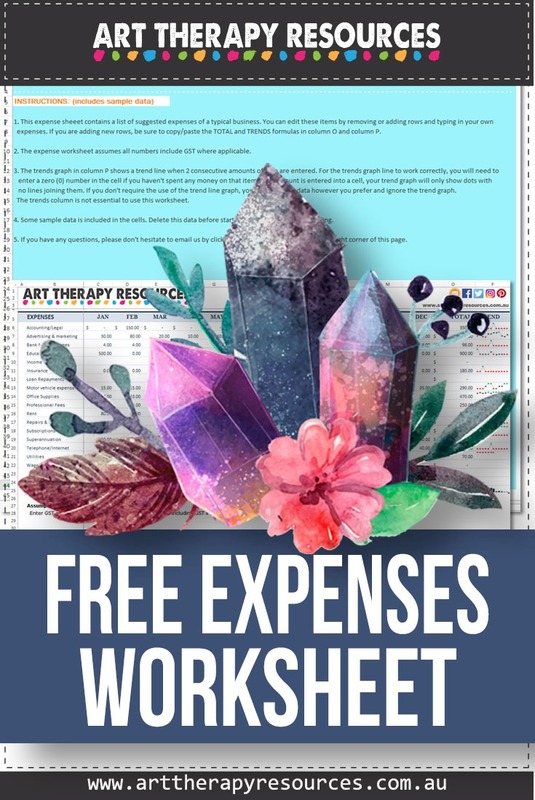 Download the FREE Excel Expenses Spreadsheet.